Highrock began in 1999 around a dinner table. A small group of believers shared a dream for a church where people of all backgrounds, ages, and ethnicities could encounter Jesus. In time, this small group became a congregation, outgrowing several spaces in Cambridge and Somerville. In the Spring of 2006, Highrock set down roots in Arlington. Today Highrock is a dynamic and diverse spiritual community with congregations worshiping and serving around the Greater Boston Area. 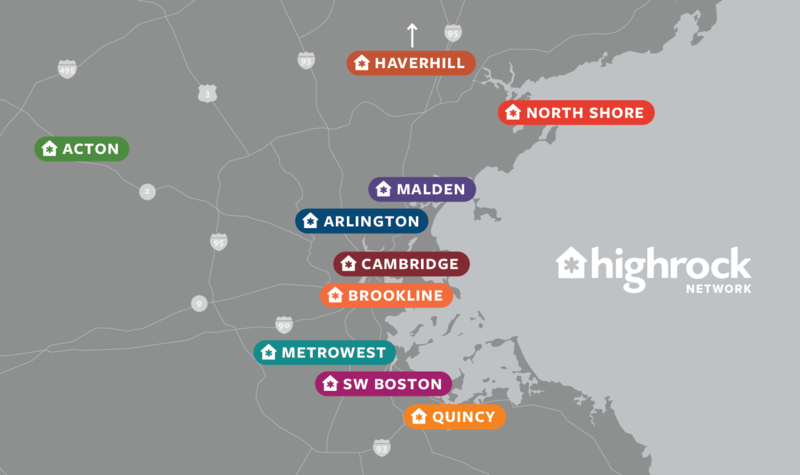 The dream for Highrock Malden began over ten years ago, when I (Edwin) was inviting friends, neighbors, and colleagues with questions about God's role in their lives to come to church with me - about an hour's drive away! That's a long way to travel to connect with God and keep exploring faith. Instead of bringing people to a church that was so far away, I wondered if I could bring a healthy, transformational church to them! It was then that I felt called by God to plant a church that could help all kinds of people in the community find new life in Christ. In Fall of 2018, my wife Kelsey and I came to Malden with a team of people who also wanted to be a part of what God is doing in the city. Our desire is to build a church that can provide a safe environment where all people can come to in order to hear and experience the life-changing truths that Jesus is for them, that He died for them, and that He came to give them new life. A church where people will find warmth, hospitality, and authentic relationships, a place where people can find faith in God and a community that helps them walk in that faith. 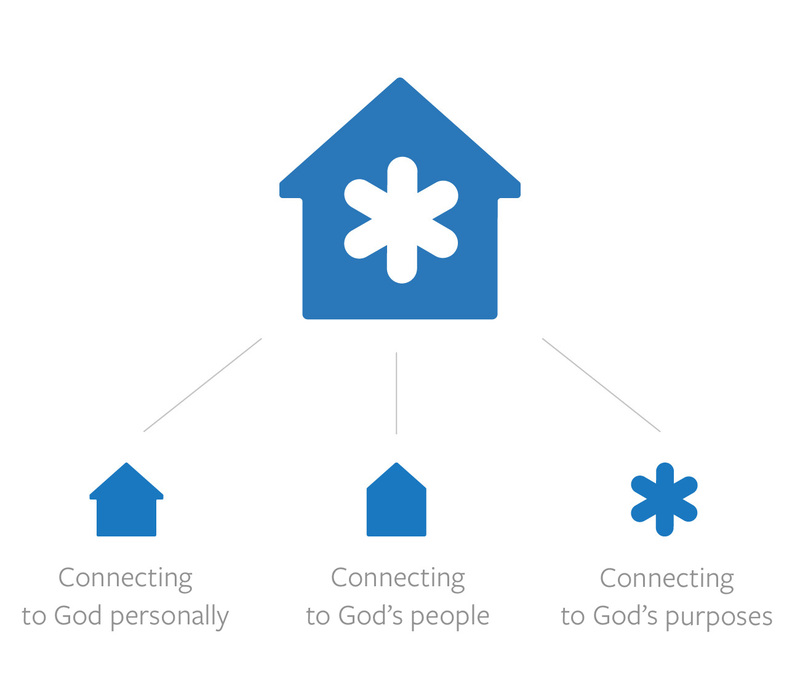 Transformation through Connecting with God Personally, God's People, and God's Purposes. At Highrock Malden, we live out that vision by being a church where Real People can meet a Real God and do Real Life together. Our hope is to see God transforming every neighborhood and institution in Greater Boston through locally-focused congregations who live and love in such a compelling and Christ-like way that our neighbors are challenged to seriously consider the claims of Christ, be reconciled to God, engage in Christian community, and serve others in the unique ways God designed them to, so that Boston becomes a “city on a hill” that will be a blessing to the world. Our mission is drawn from Matthew 28:18-20, to help all our neighbors find new life in Christ and to help them walk in that life. We aim to cultivate a loving Christian community through which sinners are transformed individually and collectively into the Body of Christ by connecting with God Personally, with God's People, and with God's Purposes. God's grace is the sole basis of our salvation in this life and the next, leaving no room for shame, fear, boasting, or condemnation. We are all sinners who fall short of God’s intended design for us. Therefore, we want a place of safety where people can extend grace and love to each other despite our shortcomings. Everyone needs community and none of us can go through life on our own. We never want to be exclusive and always want to be inviting all our neighbors so that they can meet Jesus and be transformed by Him in community. Our hope is to do life together and have spiritual relationships that are meaningful, life-giving, and authentic. We are compelled by Christ's compassion and commands to share the Good News about God's love to all people. We do this through word and deeds in ways that are practical, personal, prayerful, relevant, and respectful. We long to lovingly build bridges with those who are estranged from God and the church. We want to learn how to walk with Jesus here on earth and allow our faith to influence the way we live. Maturing in the Christian life and becoming more Christ-like is a daily surrender of our wills and being sensitive to how God may want to lead us instead. However, it is not just about us being personally transformed. We are called to help others learn how to walk with Jesus, and to allow our faith to bless people and meet the needs of those around us. God created and called each of us to partner with Him as He continues His work of redemption in the lives of those around us. We want to simply bless our neighbors and to be the hands and feet of Jesus both locally and globally. What Jesus has done for us is worthy of a party, therefore we strive to be a community that often celebrates what God is doing in our lives and in the lives of each other.